Same popular design as the original StarLite, with a soft foam edge to block dirt and debris. 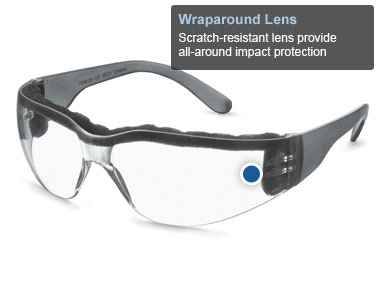 Foam lining top and sides of lens blocks debris and absorbs perspiration. Independently tested and certified by Underwriters Laboratories to meet ANSI Z87.1+ and CSA Z94.3 standards.Meets ballistic impact resistance requirements for eyewear in US Military Performance Specification MIL PRF-32432 (GL).